When you think of dandelions, does it evoke nostalgic childhood memories? Maybe it conjures thoughts of what a nuisance it can be for a 'well-maintained' lawn? I don't know about you, but I happen to love when yards are blanketed with a thick sea of sunny clusters, especially mine. However, dandelions can be viewed differently depending on who is asked. 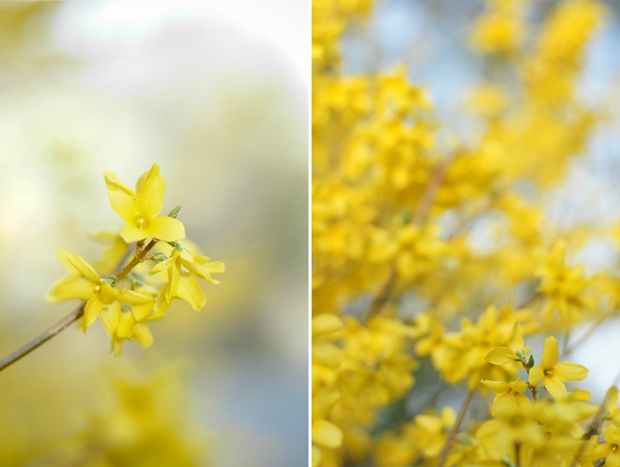 Some might see these ubiquitous yellow flowers as a pesky weed instead of a helpful herb. Truth be told, I'm new to the wonders of what a curious cook can do with a freshly harvested batch of wild weeds. And, like any recent discovery, I've spent too much time scouring the www for ideas on what to do with the plentiful bounty awaiting us. I had no clue that so many different things could be done with dandelions. It was rather difficult to trim down my extensive list for this post. You'll be pleased to know that nothing in this mash-up is too complicated or time consuming. I'm hoping that it will be a useful starting point for anyone who might be interested in putting these prevalent plants to good use. It's ideal to use tender young leaves for salads, but they can really be eaten at any time. However, the mature leaves will be a little more bitter. These would be a great addition to a salad with other leafy greens to add more variety. Simply simmer 1/2 ounce of dandelion root in 1 1/2 pints of water until the liquid is reduced by half. Strain. This will yield (2) ½ cup servings. This same recipe can also be used with the blossoms as well if you want something lighter. Oil: Harvest a jar full of freshly picked flower heads and cover with almond, grapeseed or olive oil. Use a skewer or chopstick to eliminate the air bubbles. Cover the jar with a piece of cheesecloth, coffee filter or another type of breathable lid. Put in a warm, sunny place to steep. In about 4 weeks (2 weeks minimum), the dandelion essence will have absorbed into the oil that will be a remedy for joint and muscle pain. This is said to also work for various skin problems as well. Vinegar: For this tonic you can use both flowers and leaves. Once gathered, chop leaves and strip the stems from the flowers if still intact. Place in a jar of your choosing and cover with a bottle of cider vinegar (we use Bragg's). In 4 weeks, you will have a pretty mild vinegar to use in salads, for cooking, or as a tonic. Select only those flower in full bloom during mid-day when the sun is brightest. Remove petals from the green bottoms by just pulling them apart, measure the petals only. Place petals in heavy sauce pan along with water, lemon slices, and vanilla bean. Bring to a boil, reduce heat, and simmer for 30 minutes. Remove from heat and let steep for 6 hours. Strain the dandelion tea through cheesecloth and dispose of the organic matter. Place in a heavy saucepan and bring to a low boil. Gradually add sugar while stirring until dissolved. Lower heat and let simmer to desired consistency (may take up to 4 hours). Can be used in the same way as regular honey. 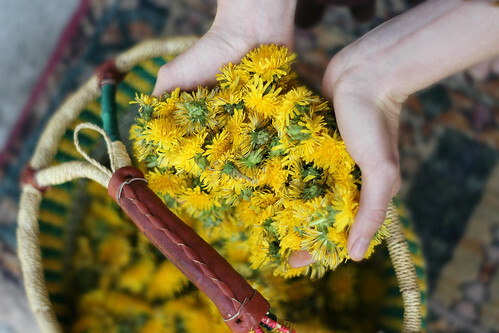 Collect as much dandelion root as you'd like, approximately 1 or 2 cups. Thoroughly clean the roots and thinly slice. Once you have selected a jar that your harvest will fit in, cover with 100 proof vodka. Set the jar in a cool, dark place. Within 8 weeks you will have a tincture that can be taken daily with water as a health tonic. I know that what may be a beneficial weed to me is another man's nemesis, but there's not much we can do about them stubborn folks (sorry if that's you). 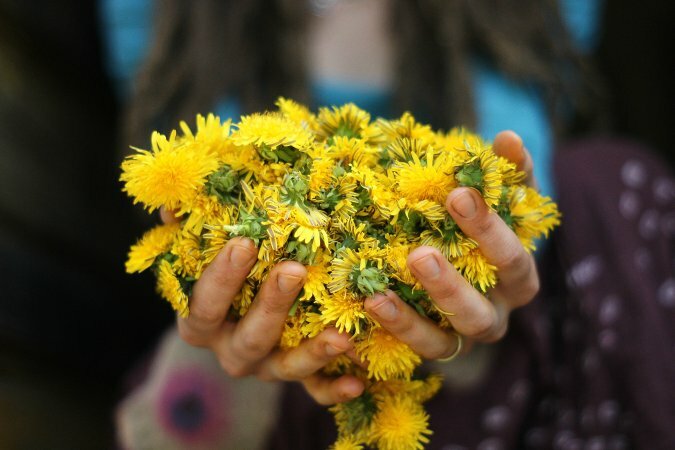 However, maybe someone who is curious as to whether or not dandelions are edible or have a medicinal use will take away a recipe or two from this list. They are low on calories and provide a good source of Vitamins A, C and E, and contain healthy amounts of Magnesium, Calcium, Iron, Folate, Dietary Fiber and Potassium. I'm sad that the Bradford Pears have pretty much passed their prime here in the high country. At least this spring I was motivated enough to get out and shoot some photos of the pearly white blossoms before they faded. Right now, I'm seeing more of the Japanese cherry trees, redbuds, and dogwoods. It seems like I can find something new every day if I look hard enough, so I'm always on the lookout for what will pop up next! How about you? Any spring beauties to share? In my last post, A Preview of Puerto Rico, I left out all of the delectable details regarding the Puerto Rican cuisine we sampled while we were on the island. It wasn't because I forgot, it was because I thought the food deserved a post all its own! We tried so many wonderful things that I am very excited to finally tell you all about. 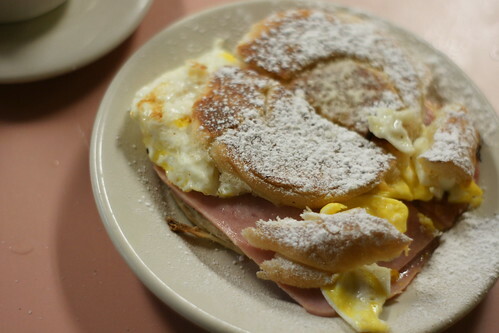 This fluffy, sweet pastry that's buttered, grilled and sprinkled with powdered sugar is not your typical breakfast sandwich. What sets this Spanish danish apart even further from a regular pastry is the fact that they come with a variety of fillings that you would order on a normal breakfast sandwich, such as ham, bacon, egg and/or cheese. 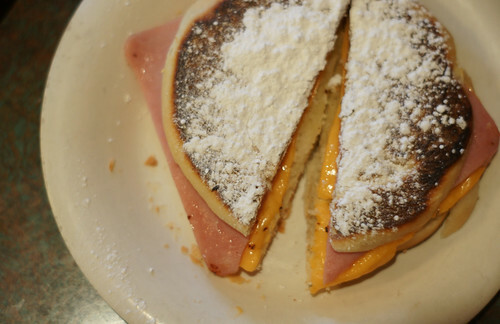 Seems sort of weird to mix ham and cheese with powdered sugar, right?! It did to me, but I was willing to try it! I ordered my first Mallorca with jamon, huevos, and queso - all the way. The bread was light, airy and had a hint of sweetness to it. And I found the mesh of salty and sweet to be highly unusual, but oh so yummy! 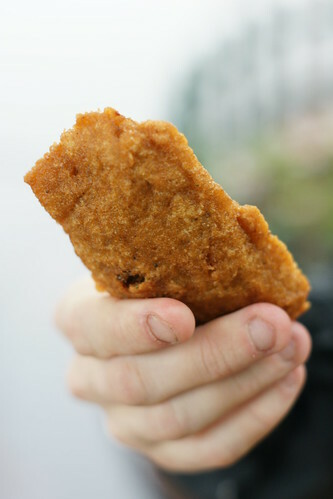 An important part of the Puerto Rican diet is the plethora of fried fritter-like finger foods that are easily found all over the island. Our most favorite item that we tried multiple times from several different places were the Alcapurria's. Alcapurria's are plantain croquettes stuffed with beef, pork or crab; they were super tasty. 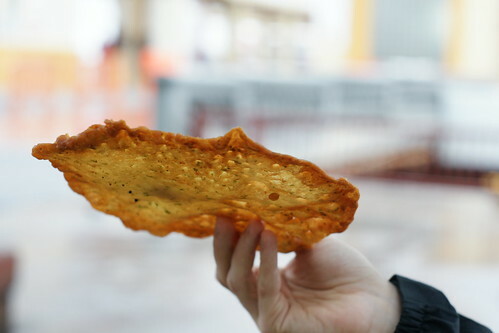 At one point while we were walking around the city, I spotted a guy eating a gigantic elephant ear-like disc (but flat) and was intrigued, he laughed as I stared intently with my mouth wide open, perplexed yet wondering how I was going to get my hands on one! Come to find out, it was a deep-fried codfish fritter called a Bacalaito, they are typically served as an appetizer for lunch or dinner. 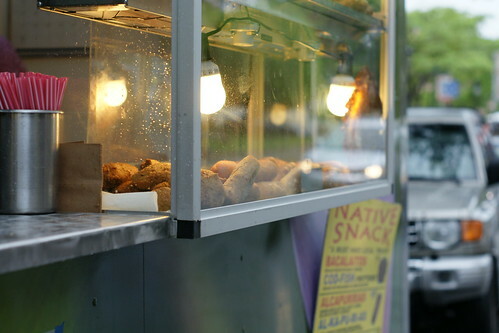 The various vendors that we purchased these street snacks from were very affordable; I think we got away with spending less than $5 each visit! You can't beat lunch for two at that price! This quintessential Puerto Rican dish is a favorite of many and consists of mashed green plantains mixed with garlic and other flavorings before being fried in a pan. When served plain it is merely a side dish, but if you take advantage of the stuffing options available, this is the way to go for a main-course meal. We ordered our signature Puerto Rican entree stuffed with fresh mahi mahi and shrimp, it was devoured within minutes! Native Caribbean flavors were very evident in this mouthwatering meal. 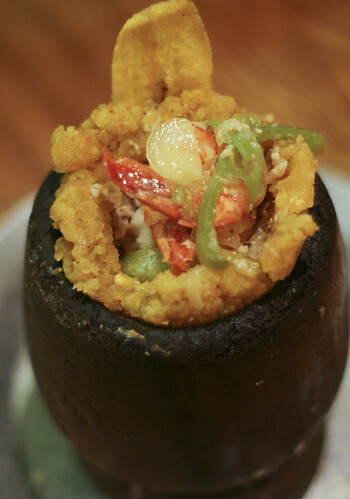 Traditionally, Mofongo is served in a pilon, which is much like a wooden goblet and makes for a rather interesting presentation. 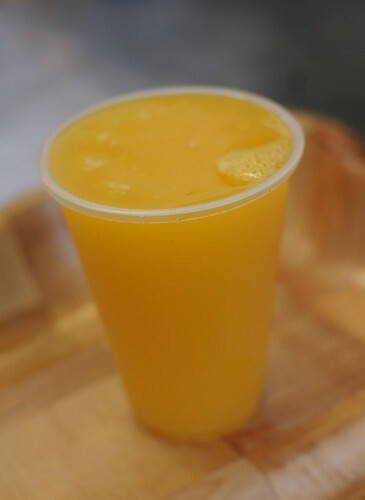 Tropical fruits, amongst other things, often wind up at the table in the form of a tasty beverage. By accident, we tried a few different kinds that I think are worth noting. 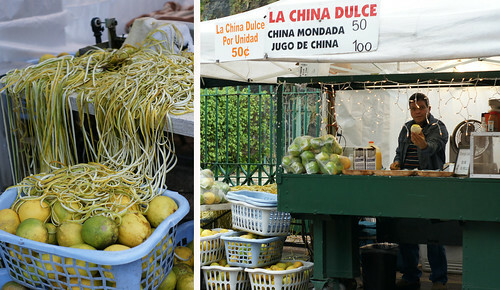 In particular, we happened upon a vendor selling “La China Dulce”. We were thirsty and feeling adventurous, and were stopped dead in our tracks by the stacked baskets filled to the brim with these yellow-green grapefruit-like orbs, so we investigated. It was quickly realized that they were oranges, but they weren't the color of any orange I'd ever seen before! In Puerto Rico, naranjas or oranges are called Chinas. Since we weren't sure of how it would taste Cody and I shared a cup. It ended up being a deliciously sweet concoction that was far more flavorful than any orange juice I've ever had. Cody and I were fighting over sips as the heavenly nectar diminished. We nearly turned back around once it was gone to get another, but decided it was too far. After craving one the next day, and not being able to find the same vendor who must have picked up and moved elsewhere, we were kicking ourselves for not going back the day before. Another juice we tried was called Mavi. Mavi is a not made from a tropical fruit like La China Dulce, instead it is made from the bark of a mauby tree. Puerto Rico isn't the only place that this fermented formula is popular as it is a beverage consumed by many Caribbean islanders. While Cody very much appreciated this beverage, I found it hard to enjoy. It wasn't that it was too bitter, but the sweetness was a little too sickly sweet for me, an acquired taste I'm sure. 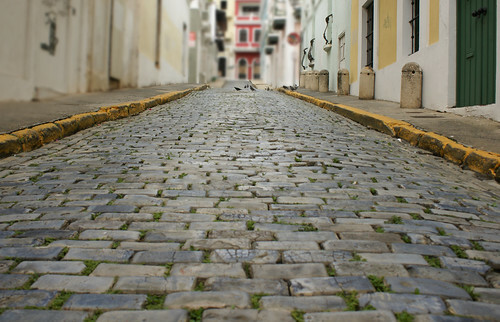 The extent of our Puerto Rico explorations took place on the eastern part of the island, the vast majority of that time was spent in the heart of historic Old San Juan. Weather conditions upon our arrival and throughout our trip weren't always favorable, but we were given a pretty good mixture of sunny and stormy days, so we didn't let those that were dreary dampen our excitement to explore. We really enjoyed the simplicity of just strolling the blue cobblestone streets, taking pictures of the assorted sorbet-colored colonial style buildings, and sampling tasty Puerto Rican street snacks along the way. Rarely did we venture into any of the shops or galleries throughout our tour, although some were too hard to pass up. After two days in the fast-paced city, we headed toward the easternmost tip of the island to be swept away to a more serene setting, but not before making a pit stop first! 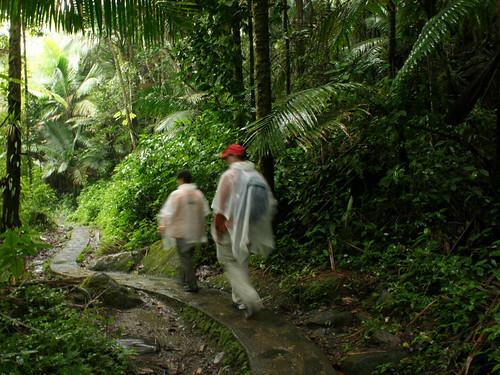 Originally, we planned on spending an entire day in the tropical rainforest of El Yunque, however, all-day dwindled to a few hours due to misinformation we received from an out-dated guidebook. I was still glad that we managed to fit it in at all, because I would have hated to miss it altogether. This super quick pit stop had us speed-hiking a trail through a non-stop drizzle to the base of a very popular waterfall where we were privileged enough to take a plunge in at the end. It was an exhilarating way to finish off this whirlwind tour! On our way out of the park, we stopped off to catch a glimpse of a roadside waterfall before heading toward the town of Fajardo to hop on the ferry over to a smaller island called Vieques. Due to the earlier confusion about ferry times, we had to wait a few hours for the next boat. The ride to the neighboring island took about 1.5 hours, and was a fairly pleasant way to kickback and take it easy while someone else worried about navigating. 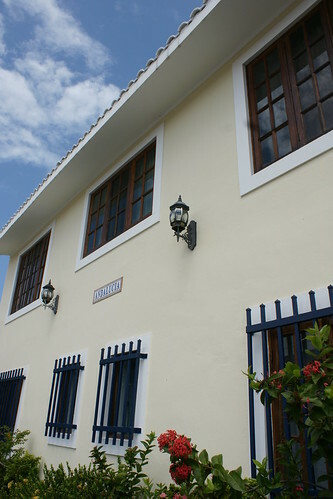 Once on Vieques, we worked out a ride with a publico to take us to our guesthouse in Esperanza. Perched high up on a hill, in a residential neighborhood, was the setting of our homebase for the next few evenings. We didn't mind being off the mainstrip since the walk was a short 10 minutes to the beach. 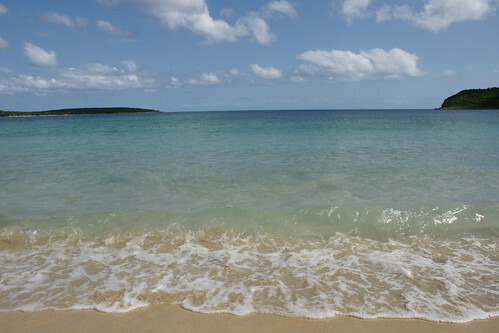 Our time on Vieques was divided between walking the sandy white beaches while treasure hunting, and frequenting the local restaurants to refuel and indulge. In the evening, we took a captivating tour of the nearby bioluminescent bay, which was a major highlight of the entire trip. Can you imagine swimming amongst a sea of glimmering micro-organisms that glow upon contact?!?! It was an amazing experience! This magical paradise was definitely a great place to slow down and enjoy the solitude. After a rough ride back to Puerto Rico on the ferry, and climbing back into the saddle of our rental van, we attempted to make our way back to San Juan. It wasn't until we got lost a few times that we found our way to the next and final destination, the Andalucia Guesthouse was located on a semi-busy street, just a few blocks away from the beach. For the area we wanted to be in, which was close to the airport, this place was perfectly situated and was close to some rather convenient amenities. Unfortunately, we didn't have enough time to thoroughly inspect our surroundings before our departure the next day. So many food choices, so little time! We did, however, find a moment to eat at an awesome bakery before leaving for the airport. What I have shared here is a very quick run down of everything we did during our most recent trip to Puerto Rico. 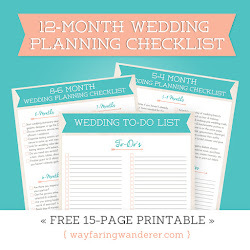 There are many missing details that I plan to fill you in on over the next couple weeks. For instance, a detailed 'report' on the scrumptious foods we ate during our stay on the island. A sampling that will be filled with snacks, out of the ordinary breakfast treats, and other yummy morsels. Food was one of our favorite parts of this trip, and I can't wait to make you salivate :D Overall, it was one of those vacations that had a great mix of adventures that kept us on our toes, but one that also allowed us to take it easy when we needed it the most. STAY TUNED! !